Tired of the usual ponytail? 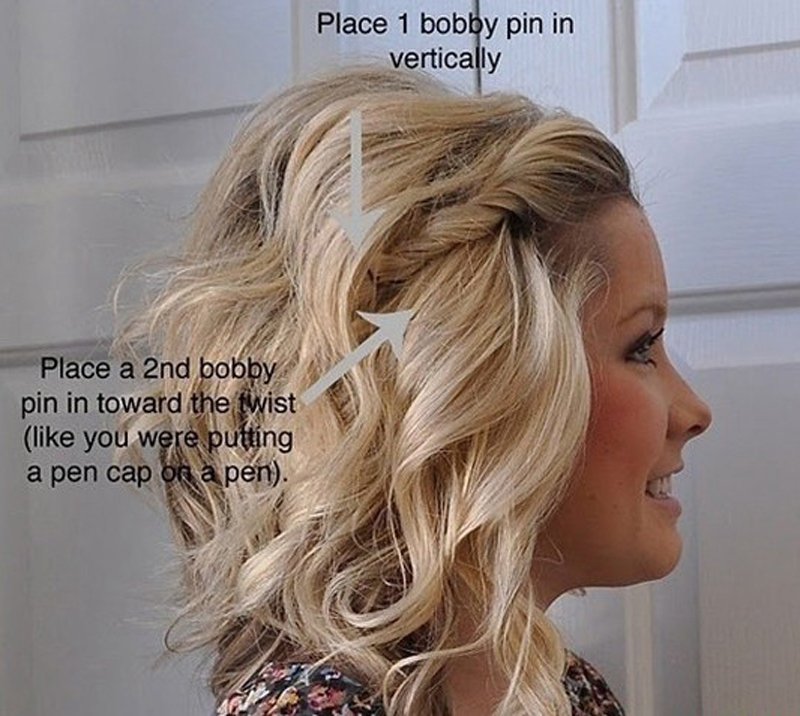 Give it a boost with nothing more than two bobby pins! Apply two bobby pins at the base of your ponytail for a little height and pop! 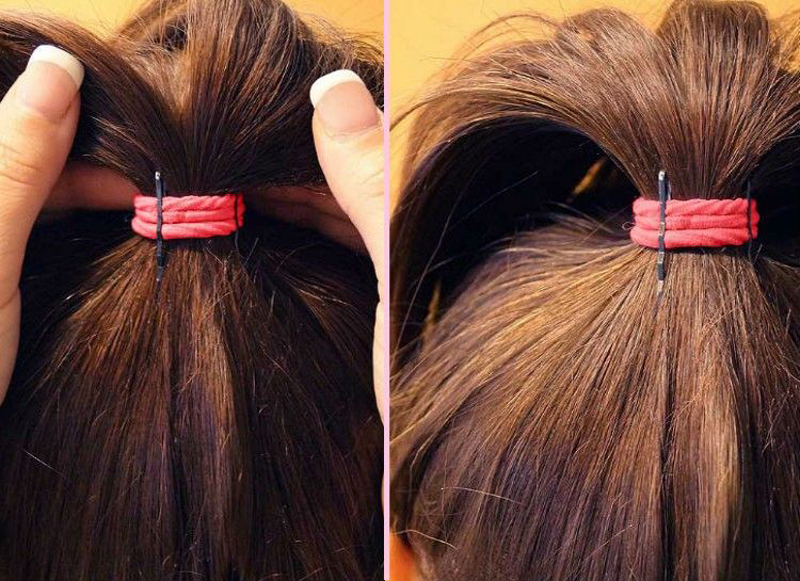 If you don't have bobby pins, try it with two hair ties. 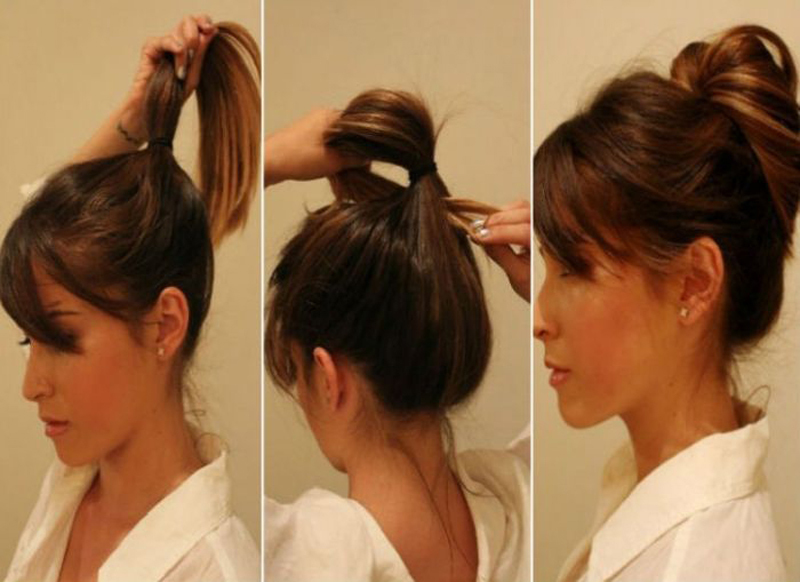 Start by pulling the back half of your hair into a high ponytail using one tie. Then, pull the rest of your hair into a larger ponytail around the first. This will give you the height and pop you are looking for! 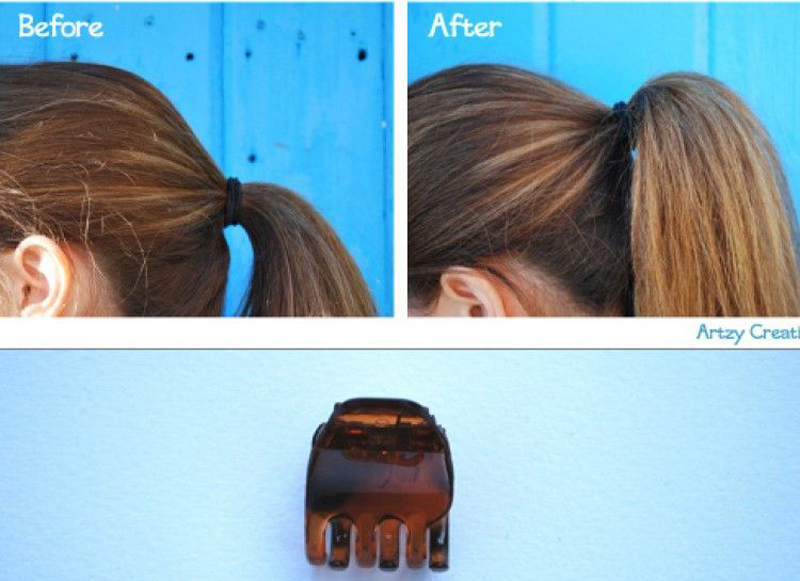 You can neatly hide a small butterfly clip in your ponytail to give you same height with even less effort. 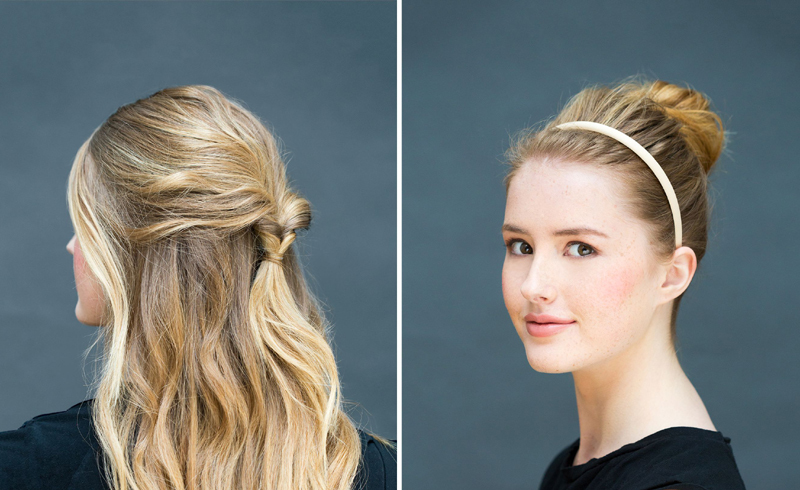 If you want to keep the hair off of the back of your neck, but want to look stylish at the same time, tuck your hair into an elastic headband into a casual do. 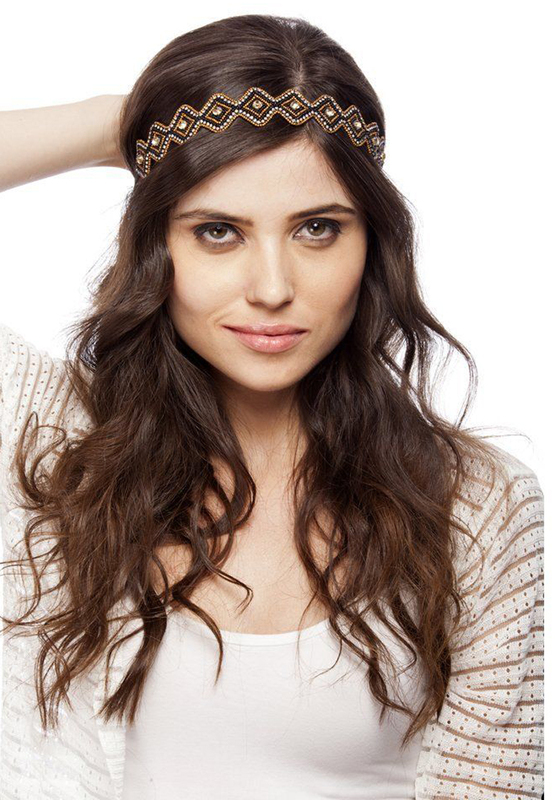 If you want a classy, stylish look with little effort, consider trying this with a headband. 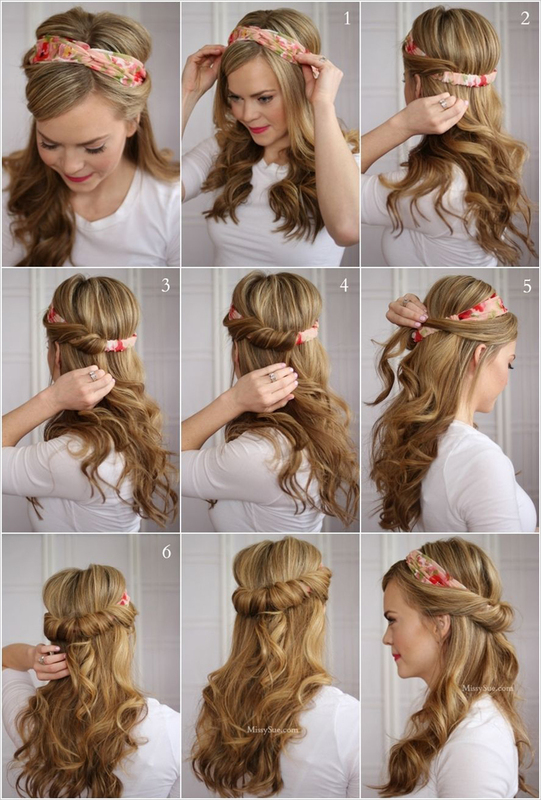 Take a strip of hair from each side and wrap it around the band until they meet in the back. Your head will be crowned with a coiled hair-tiara. 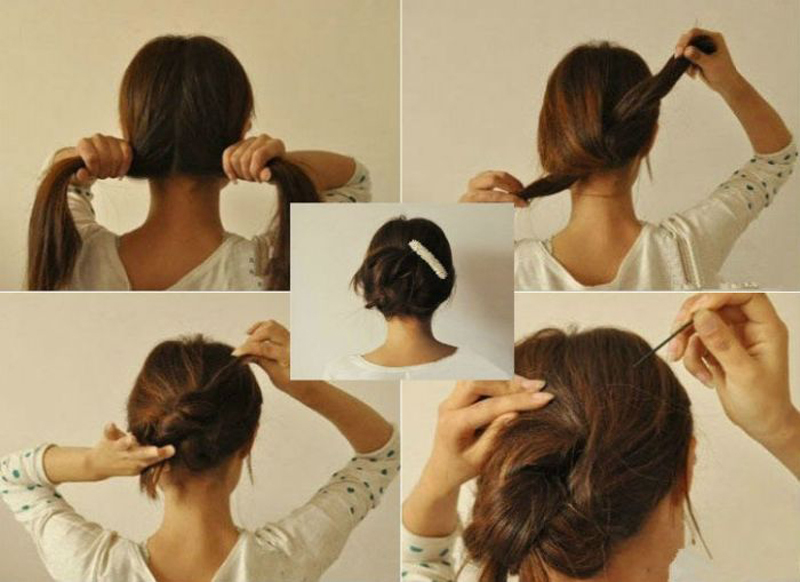 Gather your hair into a ponytail and separate your hair where you would like your part to be. Then curl away! Once they cool, undo your ponytail and use some flexible hold hair spray for a fun look in a short time! If you are struggling with fly-aways, you can spray a toothbrush with a little hairspray, and brush it through the trouble spots for an easy and fast taming method. 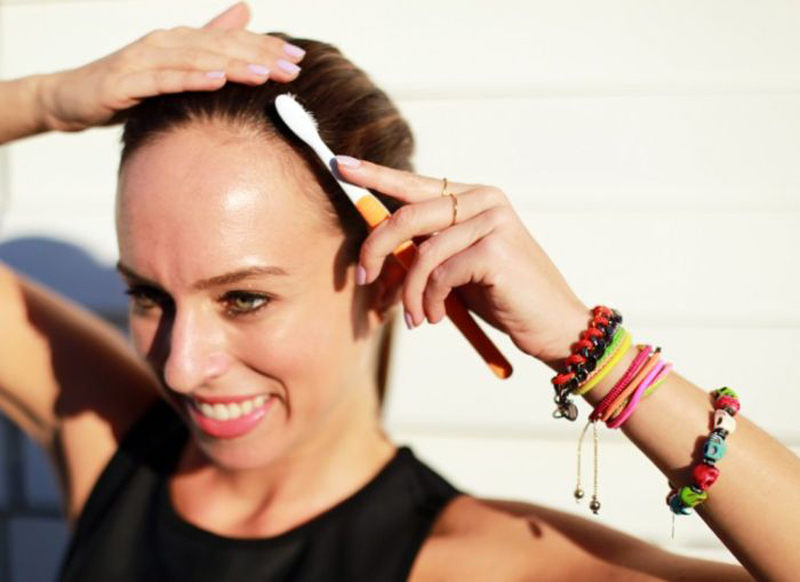 Pull your hair into a loose ponytail, leaving some space between your head and the hair tie. Next, pull the end of the ponytail through the space you left under the hair tie. After you pull enough through for it to hold, tighten the hair tie and let your hair fall over it into a quick and easy loose bun. 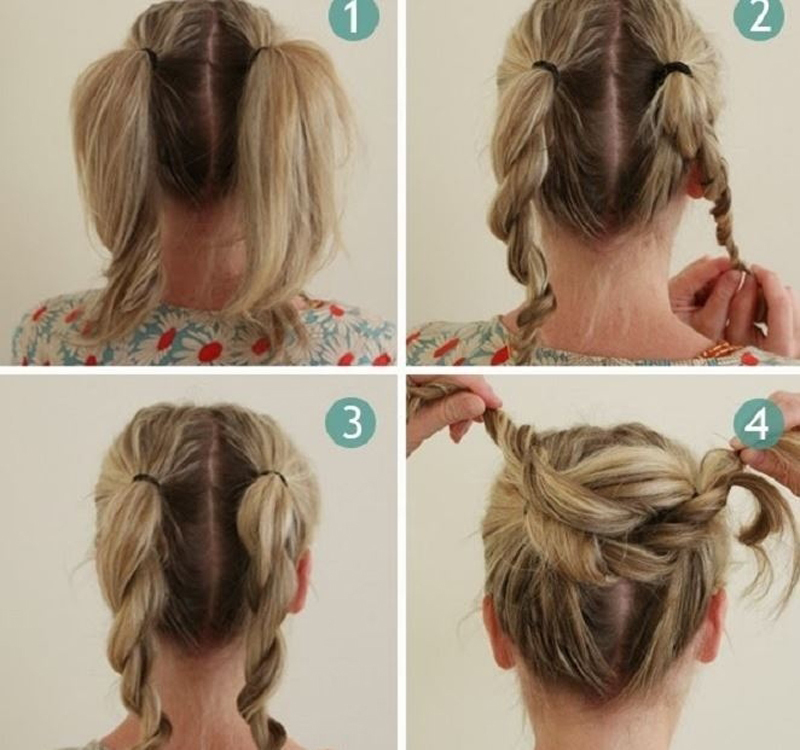 For this quick updo, pull your hair into two pigtails, loosely braid each into two strands. Once done, just twist the two together, and tuck in the ends into the bun itself and voila! 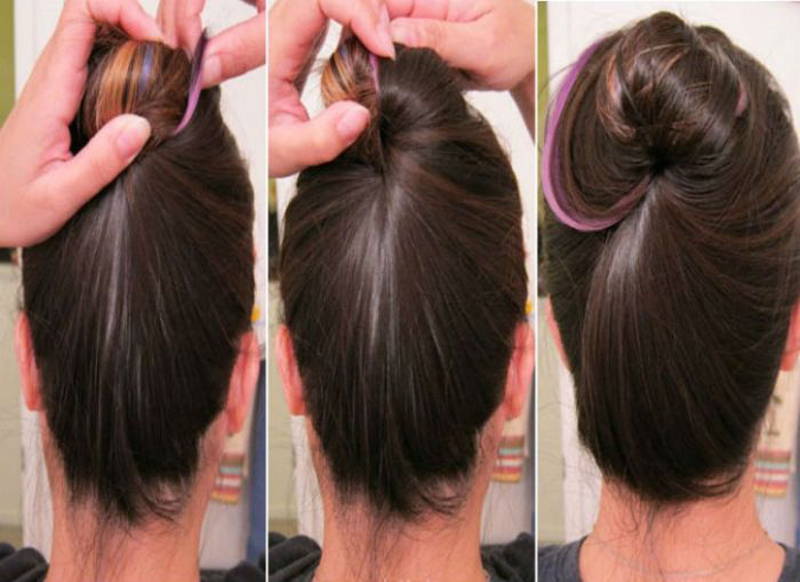 If you want to make sure that bun stays in place, you can use twisty pins instead of bobby pins. 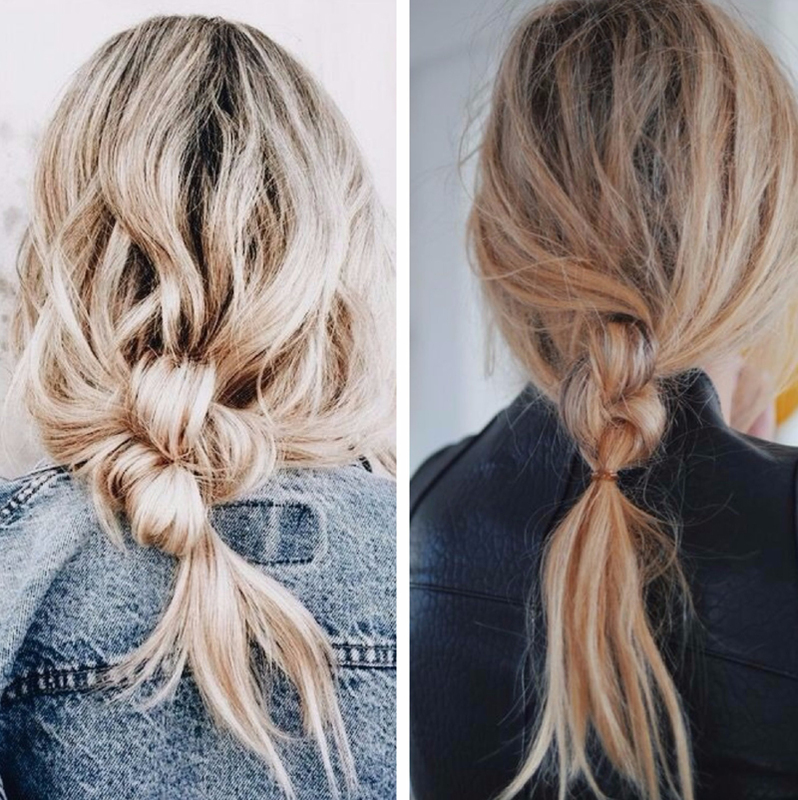 Separate your hair into two pieces and tie them around one another creating a messy, loose braid without a hair tie. 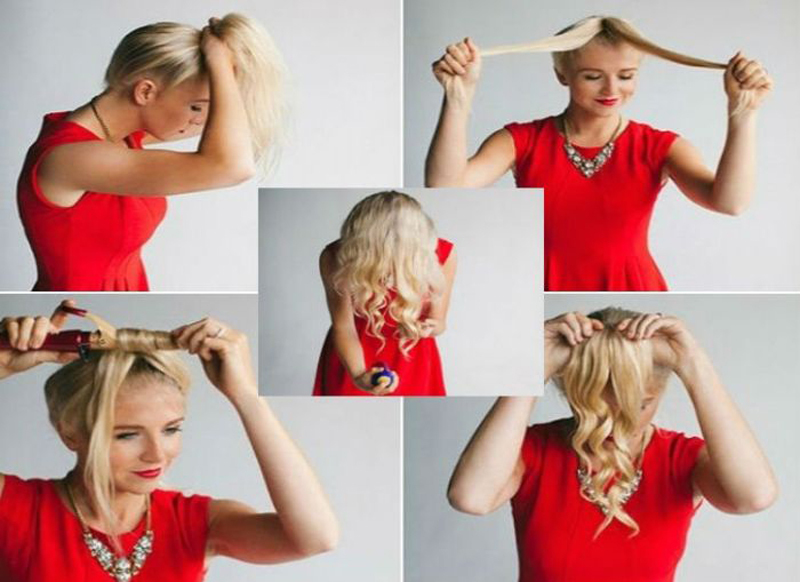 This trick works especially well if your hair has not been washed because it will hold with less help from hairspray. Definitely use some hairspray as it will keep you going all day long. If you want to get your long bangs out of your face, twist them into a mini braid and use two bobby pins to hold it back as shown. Unless you have natural waves, you will have to spend a little time finishing out the rest of this look, but pulling the bangs back only takes seconds. If you know you have to be out the door quickly the next morning, apply dry shampoo to your hair before bed and skip the morning shower. 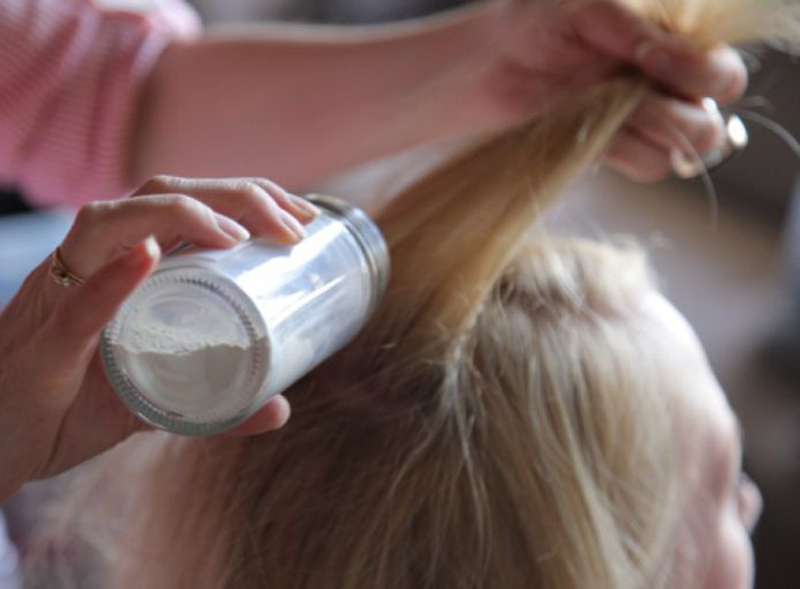 The powder will work itself into your hair overnight and will give you the look you want the next day. 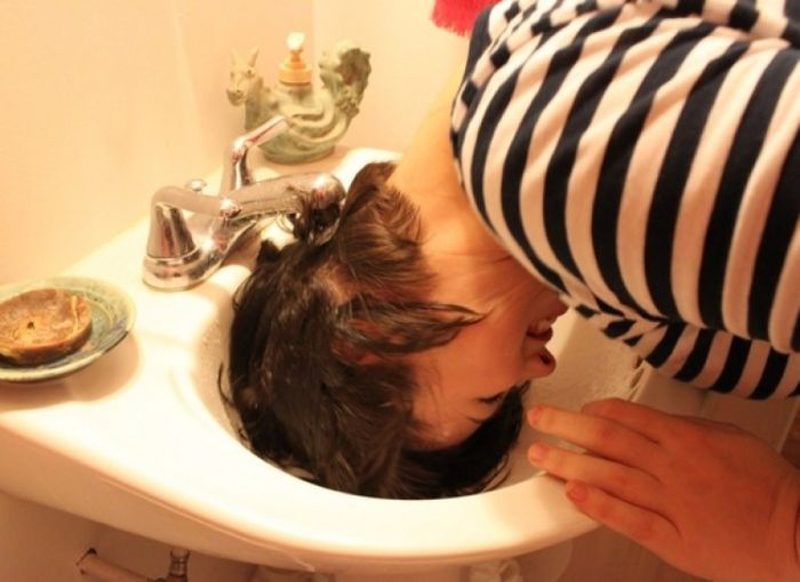 Thick hair can take a long time to dry, so if you are in a rush, do a half wash in the sink. 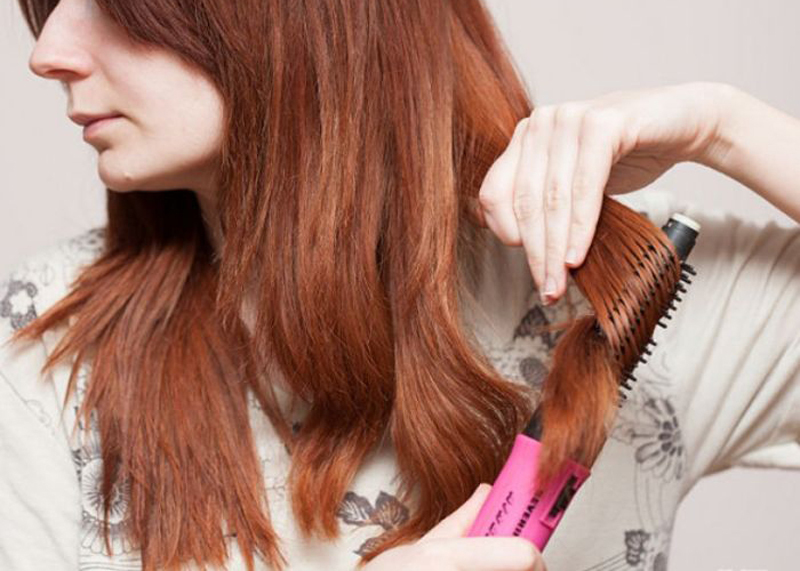 Using a hot air brush will help to dry your hair as you style it, getting the job done in half of the time! 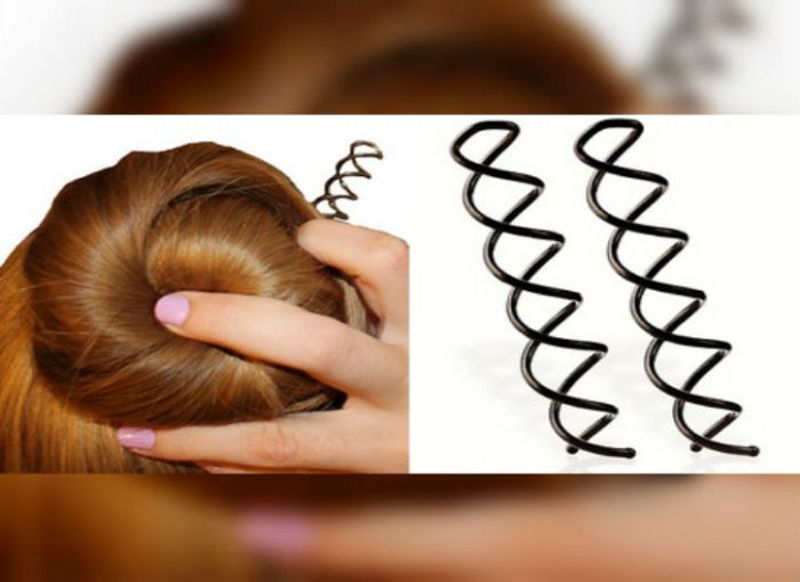 Use self-grip rollers to give your hair more volume without hassling with a round brush blow out. 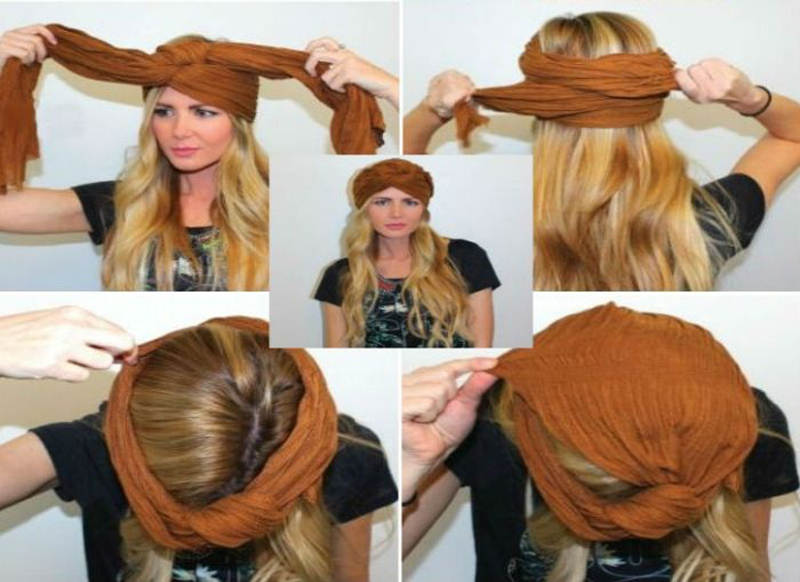 If you don't want to worry about fixing your hair, you can hide it under a trendy turban. Tie a knot with the scarf in the front, and then wrap both ends around towards the back. Criss-cross the material tightly and then tuck it into the sides. 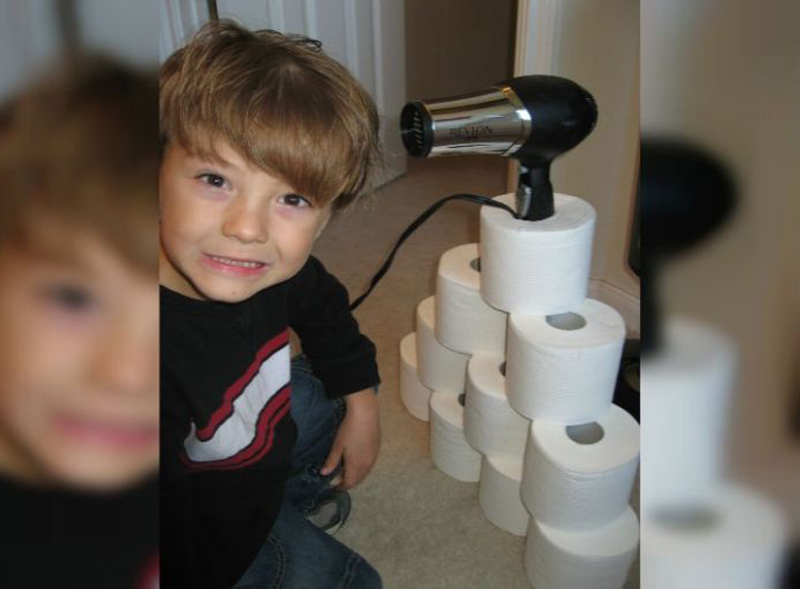 Grab the material from one side and pull it up and over your head, tucking it neatly into the other side.